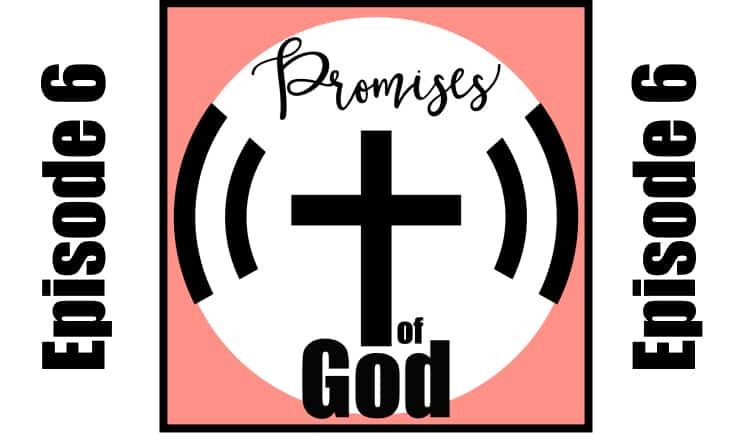 Welcome back to the promises of God podcast, episode number six. My name is Tracie Rollins, and I’m so excited to spend some time with you as we learn and take action on God’s promises in our lives. This month series is about having your best year ever, and we’re working out of the momentum devotional offered by Biblejournalingministries.com, and I’ll link that in the show notes. Of course, and today we are talking about action. Our verse for today is James 2:17-18, and it says, even so, faith if it has no works, is dead in itself. Yes, and man will say, you have faith, and I have worked. Show me your faith without works, and I buy my works. We’ll show you my faith. Now James isn’t talking about a works based salvation. Salvation we know is through the blood of Christ, and it is a gift. If we look at Galatians three, eight through nine, we can hear what the Apostle Paul says in his letter to the Galatians. He says, the scripture foreseeing that God would justify the Gentiles by faith. Note that what he just said, you are justified by faith. He said, preach the good news beforehand to Abraham saying in you all the nations will be blessed, so then those who are of faith are blessed with the faithful Abraham. So as a gentile, you are justified by faith your faith in salvation through Jesus Christ. But when we think about what James is saying in James 2:17- 18, again, he’s not talking about a work based salvation. What he is saying is that having genuine faith means also having God’s spirit residing with us, a spiritual condition that cannot help but per but produce deeds that are pleasing to God. So when you had the holy spirit in you, you can’t help it. You do nice things. You do awesome things. You do things that glorify God. By now you have an idea of what you want to work on to make this your best year ever. If you’ve listened to this podcast up to now, you’ve identified God’s promises related to the one thing that the holy spirit is calling you to do, so that is your focus area. Of course, you can have multiple items, but we’re just talking about one thing that you can feel on your heart that the Holy Spirit is calling you to do, that you need to pay attention to. That’s what we’re talking about. We’ve listened to people that can provide wise counsel, and that was in our other episodes, and we have formed a smart goal. Now it’s time to take action. The best way I found to take action is to develop healthy habits around a goal. When I have a writing goal, I carve out time on the calendar to write. That may mean that I don’t have much margin in my life during that timeframe, but I recognize the cost, and I know that it’s only for a season and that doesn’t mean that I’m perfect. I have a very, you know, bad habit of eating when I’m head down on a writing assignment, which totally conflicts with my health-related goal and that causes my health goal to take pretty much a backseat, but I’m working on it, and I know that sometimes the writing has to be done and I will just have to do my best job. Well, I can. I do generally have as much as I can focus on trying to have a balanced life. It’s so important to have a bond, a balanced life, and it’s so important to weigh the costs of things, and you know what, I’m heads down on a writing assignment. I know the season is short, so I’ll finish the race, and in a few weeks or days, depending on what the assignment is, I’ll be back at the gym and back on my walks and back to my new role, healthier habits. Now I do plan that as I’m currently focused on my health goal as my number one priority for this year, then I am going to work on my habit of writing and not being so disrespectful of my body, so I’m going to be. If I have an assignment that’s heads down and I’m going to work, I’m going to pre-plan my meals, I’m going to have him ready, so I can grab and go. That’s just a habit that I’m going to try to develop this year so that it helps me in those situations and I think that it would help me anyways. The planning is always a good thing, so as we continue to talk about just habits, I can tell you that over the years of my life, habits have helped me achieve the goals that I set for my life. Last year, I set a goal to read the Bible. I love to set that goal, but if I’m going to be perfectly honest with you, I did not fulfill that goal very often. I’m reading the Bible through in a year is difficult for me, and last year I said, you know, I’m really going to do it this year, this year I’m going to make this promise to myself, and it’s going to be the one thing that I just know I’m going to do. And so what I did was I developed a habit of reading the Bible the first thing in the morning. So before I roll out of bed, I have an APP that I open, it’s called the You Bible App, I think, you version Bible App, and there are so many different devotionals on there, but I chose a devotion that allows me to read the Bible for the entire year. So every day, um, I have a devotion, and then there’s like five or six different scriptures that I need to read to get through the Bible in a year every day. It takes about 15 minutes to get through. But it is rewarding. And I was so excited that by the end of the year I had finished early. And I think that sometimes people can look at the Bible and it’s just so huge that no one can think they can finish reading it, but I know people that have finished reading the Bible and ten months. So for me to take a year is, is incredible, but you know, it could be done sooner or less time. But for me it was a goal that I wanted to do last this year, finish off the year, not this year, but last year I’m going to try to reread it this year in chronological order, which is, got to be a fun goal so that, that’ll be fun. I, I enjoy setting the goal, but reading the Bible in a chronological way this year for me as isn’t my first goal, the one that I’m the Holy Spirit is calling me to the Holy Spirits are truly calling me to focus on my health this year. So that is the one thing that I’m going to put the most effort on. Um, but I will tell you that reading the Bible chronologically is, is important to me. So I’m going to hopefully keep the habit that I developed this year and be able to read it all the way through again and um, will be awesome. If I do, I think it’ll be great. So now it’s time for you. What is one thing you’ll do today to get you closer to achieving your goal What resources do you need now and what resources do you think you’re going to need in the future And then finally, what habits can you incorporate either daily, weekly, or monthly, to get you closer to your goal. You have everything that you need to get started on, what God is calling you to do. You don’t need to have everything to finish it, just what you need to get started. I pray that he will bless your journey and I can’t wait to hear how you’re doing and if you don’t yet feel the love of Christ in your life, I would encourage you to invite God into your life today. You’re not promised tomorrow, so please don’t put this off. Romans 6:28 says, the wages of sin is death, but the free-gift of God is eternal life in Jesus, our Lord, so turn to him, confess your sins and follow his will in your life. Our God is a wonderful and gracious and loving God. Thank you for turning in today, and I’ll see you in the next episode of the promises. Thank you for tuning in today, and I’ll see you in the next episode of the Promises of God of Podcast. Goodbye. Thanks for listening to the Promises of God Podcast. 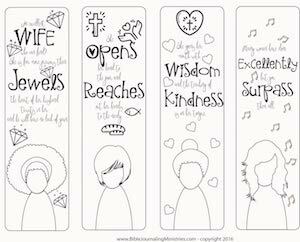 This podcast is sponsored by Bible Journaling Ministries were thousands of women grow in the word creatively. It’s your free 10-day course from Bible Journaling Ministries and another episode resources at ThePromisesofGodPodcast.com.